Imagine, if you will, a Greek farmer living in the mountains of Minas Gerais, Brazil, no internet connection, connected to the nearest road by a 7 kilometre dirt track and who has to get up at the crack of dawn to tend his animals. 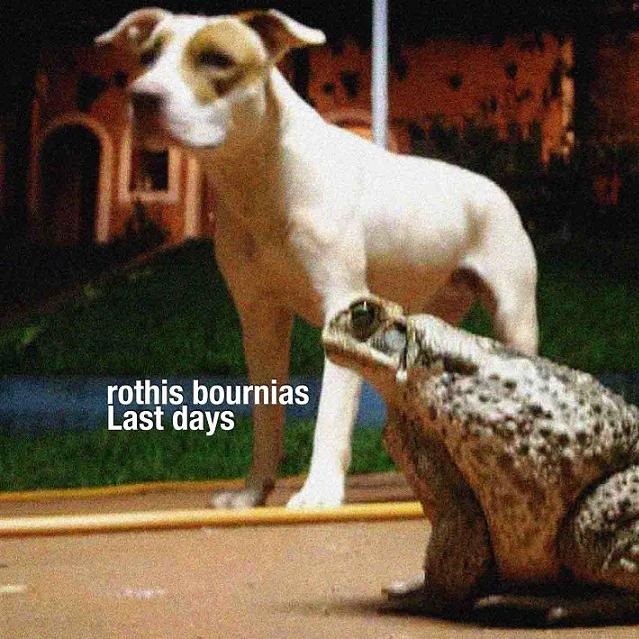 This is Rothis Bournias, not your average ambient house producer. These tracks were recorded at the end of 2008, hence the title, and are a fine representation of what this prolific musician is producing at the moment. Perhaps due to the archaic Yamaha keyboard he uses or maybe due to his own personal taste but these tracks are a distinct reminder of the releases from the Fax and Apollo labels in the early nineties, labels at the forefront of ambient house and what was being defined as Intelligent Dance Music (IDM), a sound long due for a revival. But don’t let these outdated definitions put you off, Rothis adds something new to the genre and his idyllic farming lifestyle shines through in these tracks where you will find chattering, engaging drum patterns, candescent textures combined with winsome and memorable melodies. Download, sit back, drink your tea or whatever it is you do to relax… and enjoy.